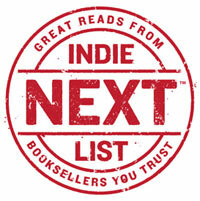 Last Thursday, the American Booksellers Association's e-newsletter edition of the Indie Next List for April was delivered to more than half a million of the country's best book readers. The newsletter was sent to customers of 139 independent bookstores, with a combined total of 541,883 subscribers. The e-newsletter, powered by Shelf Awareness, features all of the month's Indie Next List titles, with bookseller quotes and "buy now" buttons that lead directly to the purchase page for the title on the sending store's website. The newsletter, which is branded with each store's logo, also includes an interview (from Bookselling This Week) with the author whose book was chosen by booksellers as the number-one Indie Next List pick for the month, in this case I Miss You When I Blink: Essays by Mary Laura Philpott (Atria). For a sample of the April newsletter, see this one from Copperfish Books, Punta Gorda, Fla.